It’s the end of the West Coast swing, but not before stopping in LA at Riviera Country Club for one more event, the Northern Trust Open. It’s funny how surprised I get when I see all these top players in these non majors. This probably dates back to Tiger, when a PGA Tour field could only have been considered “strong” if Tdubs was in the field. These days, there are a more than a few players who, when lumped together, can turn a weak field into good field. This is one of those cases. Having Rory, who plays in Europe for the most part, gives the tournament a big bump in quality. It might just be me, but I’m way more interested in watching Rory play than watching Spieth play. Keep in mind, this isn’t a comment on who’s better, and I’m not implying at all that I don’t like to watch Spieth. But right now, I’m more inclined to see how Rory does. A disappointing 2015, and being out-shined by Spieth seemingly gave him a new drive to play better. Getting to watch him play on US soil is a must. Plus I love watching Rory’s swing. Seriously, it’s so good. 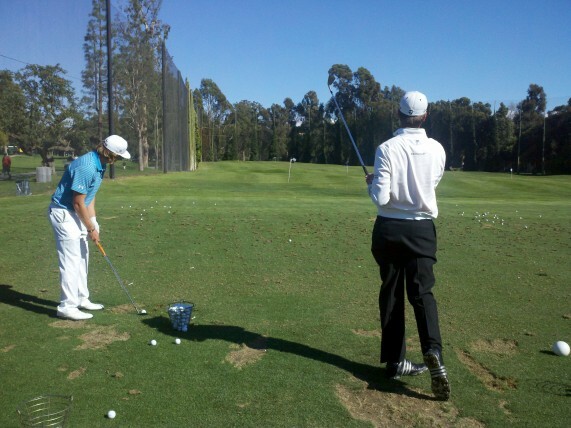 Actually might be a feature article soon – best swings on tour. I got to play at Riviera in college and came in with no expectations, and as the day progressed I was blown away by all the intricacies. Usually the PGA Tour does a great job of photographing the courses for the previews, but I don’t really think this week’s set does the course justice. But take a scroll anyway and you can see part of what makes it special. 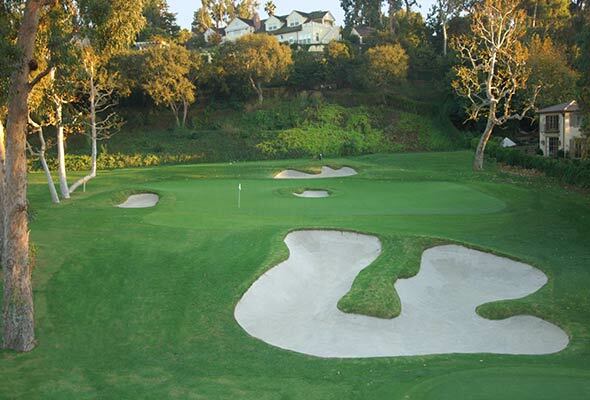 The course was designed by George Thomas, who also had a hand in designing Bel Air, Stanford University’s course. Thomas isn’t exactly what you’d think of as a top designer, not quite mentioned in the same breath as Donald Ross or Alister MacKenzie. I mostly base this on the fact that I had to look up who he was. But when reading George Thomas’s Wikipedia article, I realized that Mr. Thomas and I are soul mates. I have long been of the option that the only requirement for a course to be good is that each hole be distinct from the others. I don’t care about condition, length or any of those other factors. If you play a round and can’t easily remember each hole, then the course is crap. Being able to remember every distinct hole means that there was enough character to make the course great. I’ve actually used this to argue that the 9 hole, par 33 course at Lincoln Park in Milwaukee is a great design. It only costs $10 to play, geese poop all over the place, and jeans are definitely allowed, but every hole is distinct and fun to play. That’s what I’m looking for in a course. Boom. Guess I’m going to have to get that book to see what else he has to say on the subject. Impressively, Thomas managed to pull off what would normally be called a quirky trick, and made it a legit strategical hole. This is the best pic I could find of the hole, and really isn’t that crisp or anything. But yeah, there’s a bunker in the middle of the green. It’s decently tough to hit the ball in a spot on the green where you need to chip, so don’t expect to see a pro do the whole chip from the green over the bunker. By that I mean Riv’s 10th hole, pictured below. I’m hesitant to call it the best, because that statement invites debate and I’m not looking to start ranking things in a preview article. Also I don’t know if it’s better than Lincoln Park’s 285 yard 9th hole. Tough to really see the entire layout of a hole in a single picture, so be sure to watch during coverage. This article from Links Magazine is a pretty interesting read. It goes through the changes to the holes over the years, and has commentary from some top people in golf about the hole and how to play it. Definitely a featured hole for the week, though you could really say that for most holes at Riviera. Damn the more I think here, the better that course becomes in my mind. More specifically, Charlie Danielson, current senior at University of Illinois, and native of Wisconsin. Taking place on Monday, the Collegiate Showcase was an event that paired college players with alumni already playing in the NTO. The low best ball score won their school’s athletic department 50 grand. But more importantly, the low college player gets a sponsor’s exemption into the field! Charlie won the event with a bogey free 3 under 68. Check out this tweet from the NTO account with a way too big picture of his face. No doubt awesome for a college player to get a start in a PGA Tour event. Because I’m so qualified to judge logos, I gotta say that this new one is super slick. Simple, clean, and it has an anchor in it for some reason. 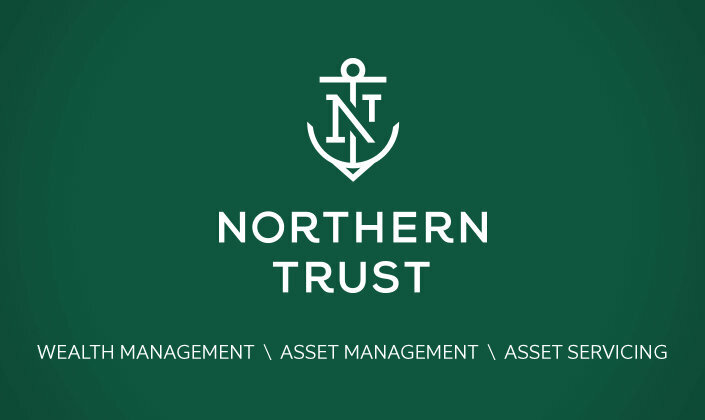 It is funny though that I still don’t even know what Northern Trust does. Like if I wanted to become a customer of theirs, I don’t know how to do that. Then again, as a 25-year-old guy, I’m probably not who they’re targeting for wealth and asset management or servicing. Love the jankiness in the midst of grandeur. With the course sitting in a depression surrounded by giant houses, there really isn’t much room for the luxuries like driving ranges. So in this case, you have to walk down from the clubhouse, in front of the 10th tee box to get the the range. So remember this next time you’re hitting balls off mats at a place that has nets — even the members at Riv have to do that too. Hunter and Sean hitting some nugs in a cage. Twitter, podcast, subscribe to both and listen.